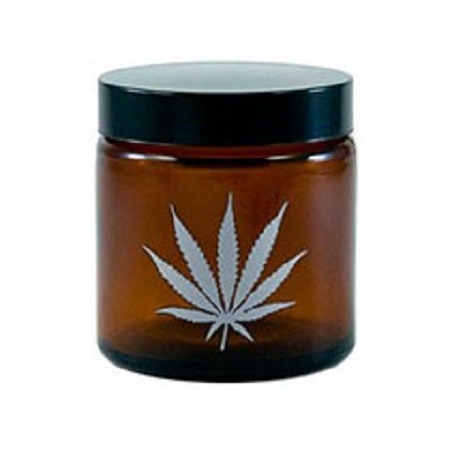 420 Silver Leaf Amber Screw Top Jar: The range of amber stash jars from 420 Science come in a range of awesome designs. The jars feature a screw-top lid for a perfect seal. The amber glass prevents harmful light rays from penetrating the container and damaging the contents inside. The Amber Stash Jar from 420 Science is the perfect way to prolong the life of your fine herbs and keep them nice and fresh.